The airlines stressed that they didn’t add the cameras — manufacturers embedded them in the entertainment systems. Now there is one more place where cameras could start watching you — from 30,000 feet. Newer seat-back entertainment systems on some airplanes operated by American Airlines, Delta Air Lines, United Airlines and Singapore Airlines have cameras, and it’s likely they are also on planes used by other carriers. All four airlines said that they have never activated the cameras and have no plans to use them. 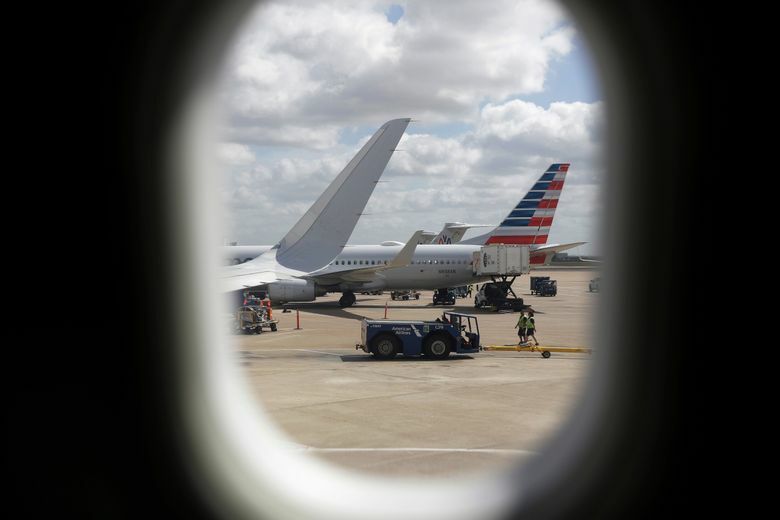 However, companies that make the entertainment systems are installing cameras to offer future options such as seat-to-seat video conferencing, according to an American Airlines spokesman. A passenger on a Singapore flight posted a photo of the seat-back display last week, and the tweet was shared several hundred times and drew media notice. Buzzfeed first reported that the cameras are also on some American planes. A United spokeswoman repeatedly told a reporter Friday that none of its entertainment systems had cameras before apologizing and saying that some did. On Saturday, Delta also said some of its in-flight entertainment screens have the cameras. The airlines stressed that they didn’t add the cameras — manufacturers embedded them in the entertainment systems. American’s systems are made by Panasonic, while Singapore uses Panasonic and Thales, according to airline representatives. Neither Panasonic nor Thales responded immediately for comment. As they shrink, cameras are being built into more devices, including laptops and smartphones. The presence of cameras in aircraft entertainment systems was known in aviation circles at least two years ago, although not among the traveling public. Seth Miller, a journalist who wrote about the issue in 2017, thinks that equipment makers didn’t consider the privacy implications. There were already cameras on planes — although not so intrusive — and the companies assumed that passengers would trade their images for convenience, as they do with facial-recognition technology at immigration checkpoints, he said. “Now they’re facing blowback from a small but vocal group questioning the value of the system that isn’t even active,” Miller said. American Airlines spokesman Ross Feinstein said cameras are in “premium economy” seats on 82 Boeing 777 and Airbus A330-200 jets. American has nearly 1,000 planes. Singapore spokesman James Boyd said cameras are on 84 Airbus A350s, Airbus A380s and Boeing 777s and 787s. The carrier has 117 planes. While the airlines say they have no plans to use the cameras, a Twitter user named Vitaly Kamluk, who snapped the photo of the camera on his Singapore flight, suggested that just to be sure the carriers should slap stickers over the lenses.